In the exciting rediscovered Jefferson Park area of Denver, new construction is on every corner. There are new upscale town homes and condos being built to suit a variety of needs and tastes. An array of older homes are available that were built in the early 1900s with details and craftmanship that you just do not find anymore. 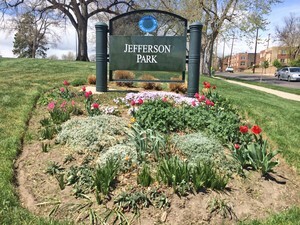 The local 6-acre park, named for Thomas Jefferson that gives this neighborhood its name, is a great place for families with children to get out and stretch their legs or take the dog for a stroll and a game of Frisbee. The park offers walking trails and picnic areas. With the diverse makeup of this community, there are plenty of local restaurants offering a rich variety of choices, from local farm to table and international cuisine. Located in close proximity to the Highland Square / 32nd Avenue shopping district which includes local galleries and boutiques with plenty of stylish clothing and beautiful gifts shops. In the evening, locals enjoy a pint at the local pub or travel to the nearby LoDo/Downtown neighborhood for a concert or evening out. 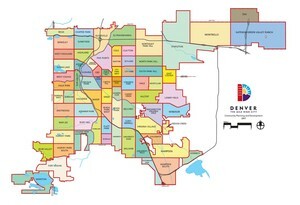 This neighborhood is situated close to the interstate and offers easy access to Denver’s public transportation system, so getting around town has never been easier.